As reports of India’s growth in export to China come in, the textile village of Balaramapuram is chipping in with its own share. THIRUVANANTHAPURAM: As reports of India’s growth in export to China come in, the textile village of Balaramapuram is chipping in with its own share. Yarn from the renovated Trivandrum Spinning Mills (TSM) is making its way to that country as well as another East Asian nation, Thailand where it will be used to make jeans and bed sheets. Industries Minister A C Moideen flagged off the first batch in five containers.“We used to sell our yarn in Kolkata, but we’ve shifted our focus to South Asian markets as we’re getting a good price,” said TSM chairman M M Basheer. The new business deal is good news for TSM, which is clawing its way back after going through tough times. The mill, started in 1962 when EMS Namboodiripad was the Chief Minister, was inaugurated by the then Union Commerce Minister Morarji Desai. After the grand opening, the mill faced a gradual decline due to mismanagement before it was shut down in 1998. The High Court intervened to liquidate the mill in 2004. LDF Government led by V S Achuthanandan took over and revived it by first spending Rs 6 crore and then another Rs 5 crore in 2010. The mill, equipped with latest machinery imported from Germany, China and the Czech Republic, increased its capacity to 360 rotors. Yet, the traditional mills at Balaramapuram did not benefit from it. “The machinery wasn’t ideal for making yarns used by local handloom industry. We’ve plans to change it to make it suitable for them.” said Basheer. The LDF Government has spent Rs3.15 crore on the mill since it came into power.TSM has sought Rs 15 crore from the Kerala Infrastructure Investment Fund Board to buy air-jet spinning machine, which can produce yarns for making sari and mundu. 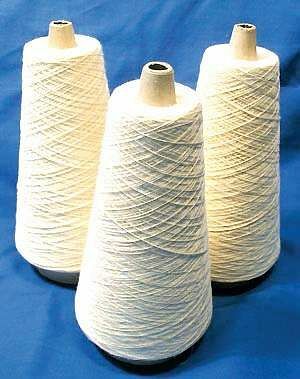 It also plans to make a depot to help other spinning mills in the state to procure yarn.